Little lighthouse keepers sought! Who will stack the nicest tower? The disks are provided with little pivots that latch easily into the holes underneath. 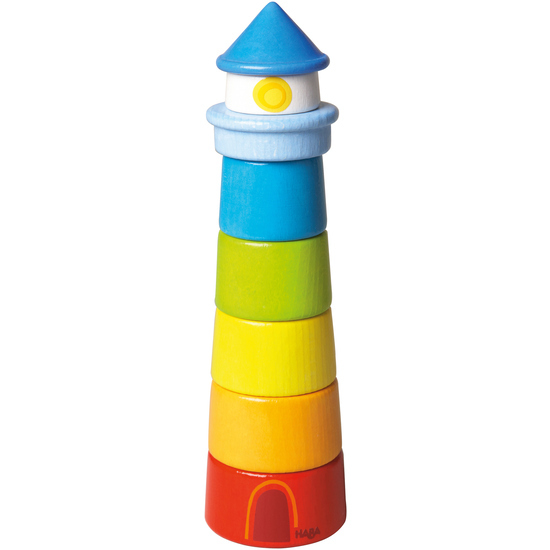 In this way a sturdy, cheerful tower can be built.